The union, which represents thousands of workers across several industries, has suspended Mackay, who is white. The union's national secretary, Tim Kennedy, said in a statement that the organization "is not involved in and has not authorized any activities with reference to claims made in CNN's story." The people behind the Facebook page and the websites encouraged visitors to donate money through online fundraising platforms, including Donorbox. Facebook has been aware of the allegations against the page for some time, according to Black Lives Matter co-founder Patrisse Cullors, who told CNN that her group had asked the social network to take down the page months ago. Facebook suspended the page after nearly a week of calls and emails between CNN and the social media site about the former's story, "and then only because it had suspended a user account that administrated the page," CNN reported. Fundraising campaigns associated with the Facebook page have also been suspended. 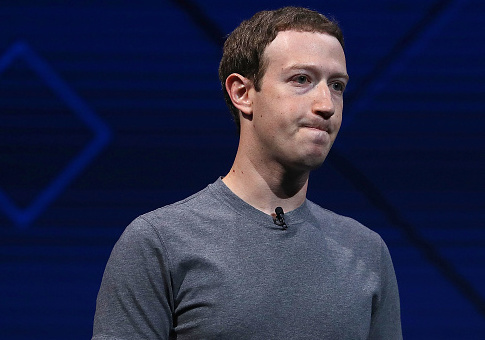 The revelation comes as Facebook founder Mark Zuckerberg is conducting an "apology tour" on Capitol Hill, meeting with several lawmakers to explain his company's failure to protect user data during the 2016 election. Zuckerberg will speak to the the Senate Judiciary and Commerce, Science, and Transportation Committees on Tuesday, and then the House Energy and Commerce Committee on Wednesday. This entry was posted in Issues and tagged Black Lives Matter, Facebook. Bookmark the permalink.